Viacom is an entertainment powerhouse responsible for connecting with audiences through a variety of platforms. With approximately 700 million global subscribers , Viacom distributes their content across television, and more importantly, online. Lately, Viacom has been focused on restructuring the company and finding new ways to reach audiences. With his recent two-year contract extension, Philippe Dauman,  both CEO and President, is believed to be the right man in charge to handle the Viacom reboot. Dauman’s leadership is especially important in a time when Sumner Redstone, founder of Viacom, is in questionable health. Redstone was not able to attend the last shareholder meeting held in early March . The company is prepared; however, for a post-Sumner world. A board of trustees is in place consisting of current CEOs and family members, ready to protect the Viacom empire. It has even been rumored that Viacom will merge with another media conglomerate, but told not during Redstone’s reign . MTV, VH1, CMT, Logo, BET, Nickelodeon, Comedy Central, and TV Land are a few channels inclusive to the Viacom brand. In 1987 Redstone, controlling shareholder, bought the company for $3.4 billion dollars . Today, Viacom’s share price is 69.77 . This number is the result of a 14 percent decline last year and already another 8.8 percent downfall in 2015 . Within the past 52 week period the Viacom share price has been as high as 89.76 . One source of the drop in stock price can be attributed to poor ratings. Viacom pinpoints Nielsen ratings and their inability to calculate views from online sources . Due to the fact that most traditional viewers are switching to some sort of online viewing, ratings from online sources are imperative to Viacom. Since last year, most Viacom channels have declined greatly and are down 30 percent ratings wise . For this reason and many more is why Viacom is in the middle of a reconstruction period. With the goal of staying relevant in a world that skews online, Viacom created a streaming service outside their traditional cable package. This streaming service, Noggin, is through Nickelodeon and aimed at a younger demographic. Due to an 18 percent tumble in audience viewership last quarter, Viacom introduced the service in order to compete with other companies. However, known for their television bundle, Viacom has to be careful not to turn viewers completely online, resulting in subscription cancellation. The livelihood of other channels like VH1, MTV, and TV Land, are at risk if viewers abandon their subscriptions . Viacom is already in risky territory with Suddenlink, the seventh-largest cable operator in the U.S, having recently discontinued their services with Viacom . Not wanting to pay significant increases for channels, Suddenlink got rid of the bundle completely. Although Suddenlink lost significant viewers from the Viacom split, 99.7 percent of their customers continued to pay for Internet services . At a time with such a strong online presence, Viacom fears that other cable companies could follow in Suddenlink’s footsteps and drop the channel lineup; resulting in solely online streaming. In preparation for the future of television, Viacom has planned to reorganize their company. This has resulted in the favoring of employees with technical capabilities rather than traditional workers as content continues to move online . Along with a changing platform for providing content, Viacom is experiencing changes throughout the entire company. Most of the changes occurring in the company today stem from both low ratings and advertisement sales. To ameliorate the ad sales, Viacom is going into upfront season with a new strategy to boost advertisers participation within the network. With the Nielsen ratings not sustaining the amount of klout they once had, Viacom has chosen to guarantee success for the advertiser’s ads by broadcasting to very niche audiences . That in mind, the company outlined a plan that would restructure the Viacom brand moving forward. This business plan included the layoff of 400 jobs across the company ranging from New York to Los Angeles, and encompassing some highly ranked positions. With the elimination of some jobs and cancellation of underperforming shows, Viacom aims to save $350 million dollars annually once the restructuring is complete. But before this can happen, Viacom put a halt on their share buyback program, which aims to shrink the number of outstanding shares, and recorded a $785 million in pre-tax charge for the compensation of laid off workers, abandonment of ineffective programming, and declining ratings due to online competition . To learn more about the Viacom reboot period and which shows are getting cut from the Viacom lineup: click here . Another part of the Viacom restructure deals with the consolidation from three television network groups into two. The first group includes: Comedy Central, MTV, Spike, Logo, and VH1, while TV Land and CMT are now placed with Nickelodeon. The first group will focus towards general content, while the second network group will have a more family-entertainment aspect to it . The Viacom reboot has a significant focus on a shift from traditional TV to more digital content, having a more niche staff, and investing in areas that progress Viacom as a company. The second transaction involves new audiences and opportunities for Viacom in India. With a very saturated, highly online, U.S. market, Viacom is looking to places overseas worth investing in. While U.S. viewers tend to get most of their content in ways other than the traditional TV, India offers more pay-for-tv customers. Viacom already owns Channel18 in India and is now vying for five more local entertainment channels. The company sees India as a place to invest with over 250 million households with pay-TV service and subscriptions. A benefit of investing in areas overseas are the low-budget production costs and the ability to expand Viacom’s American channels to new countries. Foreign markets allow Viacom to tap into potential audiences outside The United States . India is a popular market not only for Viacom, but also other television companies that are beginning to see the potential in investing overseas. It is apparent that many changes are taking place at Viacom, and will continue to take place until the company feels ready and back on its feet. The reorganization of the company, streaming service, and plans for the future are all positive ways in which Viacom can grow and prosper. Stempel, Jonathan (March 12 2015). Viacom Agrees To $7.21 Million Settlement To End Interns Wage Lawsuit. Huffington Post. Retrieved: April 9 2015. About Viacom. Viacom. Retrieved: April 9 2015. Hagey, Keach and Stynes, Tess (January 15 2015). 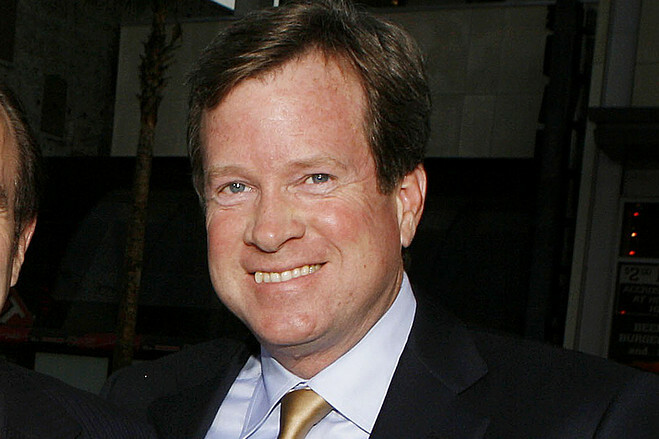 Viacom Extends CEO’s Contract by Two Years. The Wall Street Journal. Retrieved: April 2 2015. Szalai, George (March 12 2015). Sumner Redstone to Miss Viacom Shareholder Meeting. The Hollywood Reporter. Retrieved: April 2 2015. Atkinson, Claire (March 14 2015). Post-Sumner CBS-Viacom power a mixed bag. New York Post. Retrieved: April 9 2015. The Autumn of Sumner. The Economist. Retrieved: April 9 2015. Viacom Stock Price. Google Finance. Retrieved: April 10 2015. Sakoui, Anousha (April 6 2015). Viacom Halts Buybacks, Sees $785 Million Restructuring Costs. Bloomberg Business. Retrieved: April 9 2015. Viacom Stock Price. Yahoo Finance. Retrieved: April 9 2015. Hagey, Keach and Ramachandran, Shalini (February 11 2015). The Picture Gets Fuzzy at Viacom. The Wall Street Journal. Retrieved: April 9 2015. Layoffs, restructuring leads to chaos at Viacom. Fox Business. Retrieved: April 14 2015. Steel, Emily (January 29 2015). Nickelodeon to Offer a Streaming Service as Viacom Steps Up Digital Efforts. The New York Times. Retrieved: April 9 2015. Perez, Sarah (February 25 2015). Nickelodeon Unveils “Noggin,” A Mobile Subscription Service For Preschoolers Arriving In March. Tech Crunch. Retrieved: April 13 2015. Steel, Emily (March 8 2015). Provider’s Dispute With Viacom Highlights Skirmish Over the Cable Bundle. New York Times. Retrieved: April 6 2015. Steinberg, Brian (April 13 2015). Time Warner, Viacom Back Away From Nielsen Guarantees For Ads. Variety. Retrieved: April 15 2015. Ryssdal, Kai (April 14 2015). Make more upfront: Viacom, Turner discuss new ad model. Marketplace. Retrieved: April 14 2015. Gottfried, Miriam (April 7 2015). Viacom: Buyback Step Back Isn’t a Setback. The Wall Street Journal. Retrieved: April 9 2015. Viacom faces behemoth $785M charge. Youtube. Retrieved: April 15 2015. Viacom restructures to take $785 mn charge, brings TV networks into two units. Television Post. Retrieved April 10 2015. Hunsucker, Andy (November 10 2011). A Place For Film Interviews – Funny Or Die Producers. Indiana Public Media. Retrieved: April 14 2015. Sharma, Amol (January 19 2015). Why Viacom Is Looking to India for a New TV Audience. The Wall Street Journal. Retrieved: April 9 2015. Goff, Andrew (October 2 2014). Ack! The Suddenlink vs. Viacom War Now Hurting Humboldt’s Ability to Watch the Daily Show Online. Lost Coast Outpost. Retrieved: April 13 2015. Dampier, Phillip (April 1 2015). Viacom Demands 100% Rate Increases for Hundreds of Small Cable Systems, Military Bases. Stop the Cap! Retrieved: April 13 2015.